WASHINGTON, Dec. 4 – (RealEstateRama) — Associated Builders and Contractors Chief Economist Anirban Basu forecasts another strong year for construction sector performance, yet warns about inflationary pressures, according to a 2019 economic outlook published today in Construction Executive magazine. Job growth, high backlog and healthy infrastructure investment all spell good news for the industry. However, historically low unemployment has created a construction workforce shortage of an estimated 500,000 positions, which is leading to increased compensation costs. While the U.S. economy is thriving, Basu cited the potential long-term impact of rising interest rates and materials prices—up 7.9 percent on a year-over-year basis in October—on the U.S. construction market. In addition, the workforce shortage will continue to influence the market in the coming year. That said, Basu stressed that a recession is unlikely in 2019, even with recent financial market volatility. Indicators such as the Conference Board’s Leading Economic Index, which often signals an economic downturn, have continued to tick higher, implying current momentum will continue for at least two to three more quarters. 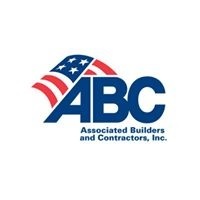 In addition, ABC’s Construction Backlog Indicator, which reflects the amount of work that will be performed by commercial and industrial contractors in the months ahead, reported a record backlog of 9.9 months in the second quarter of 2018. Read Basu’s full forecast at ConstructionExec.com or on the Construction Executive app. Basu and Construction Executive will also host a free webinar on the 2019 Construction Economic Forecast on Dec. 12 at 2 p.m. EST.